The latest session of Map Club took a data journalism bent: last Friday, we focused on creating cartogram hexmaps with Tilegrams, a generator by data visualization studio Pitch Interactive. 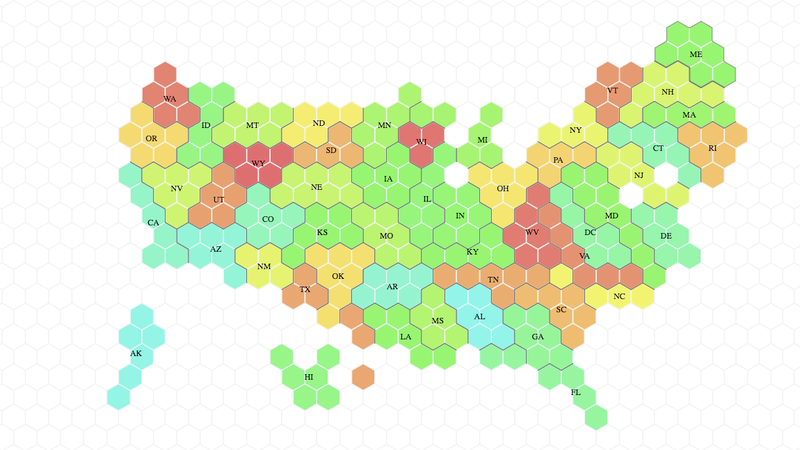 The tool enables users to quickly create proportionate hex-based maps of the United States using custom or built-in data, and export generated maps to both SVG and topojson. Tilegrams provides intricate functionality for tweaking state proportions to be statistically accurate, and is relatively versatile in its export capabilities. It did have a tendency to lose state labels and borders in its SVG output, providing a less-than-detailed file for download than the browser would reflect. Participants nonetheless created a range of interesting images, uploading Tilegrams topojson data to the geojson.io interface (a tool that Map Club explored in a session from earlier this semester), downloading and visualizing data from the U.S. Census (2010), and editing and rendering a custom CSV file in the data upload window. Map Club has a mailing list! Sign up here if you would like to receive updates on future sessions. For this session’s resources and materials, visit the Map Club Github repository. 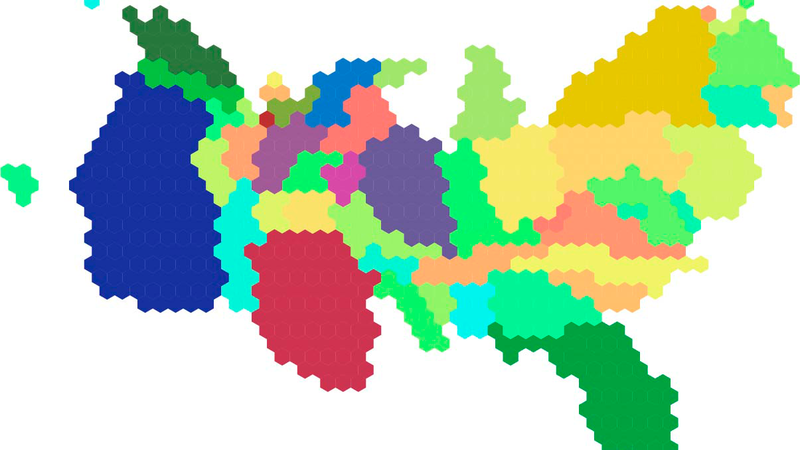 This entry was posted in Events, Workshops & Training and tagged cartograms, geojson.io, map club, SVG, tilegrams on November 14, 2016 by Emily Fuhrman.